Bringing a truck onto the roadway represents an enormous responsibility. A typical car weighs 4,000 lbs., compared to a fully loaded commercial truck that weighs approximately 80,000 lbs. Due to that disparity in weight and size, commercial trucks have the potential to endanger other motorists through something as simple as improper maintenance. The vast majority of truck drivers understand this responsibility, and they work diligently to protect other drivers on the road. An article published on January 29 from Tire Review highlighted the phenomenon of truck wheel-offs killing motorists. The danger of wheel-offs is twofold: the dislodged wheel becomes a fast-moving projectile and the truck from which the wheel dismounted can lose control. A dismounted wheel striking another driver is, in most cases, lethal. Dislodged wheels can bounce and ricochet into the opposite lane of traffic. Stories of highway fatalities resulting from wheel-offs appear somewhat frequently in the news. Although the official number of wheel dismount incidents are not tallied by American agencies, experts estimate that several wheel-offs occur per day. The Ontario Ministry of Transportation concluded that 82 wheel separations occurred in 2015 on Ontario roads alone. Each case is a potential fatality. Any wheel dislodged from a vehicle traveling at highway speed is dangerous. However, the size of a commercial truck necessitates more robust wheels, which prove even more dangerous when separated from the vehicle. In addition, the wheels of a truck experience far more stress caused by the myriad of road and weather conditions through which they drive on a daily basis. 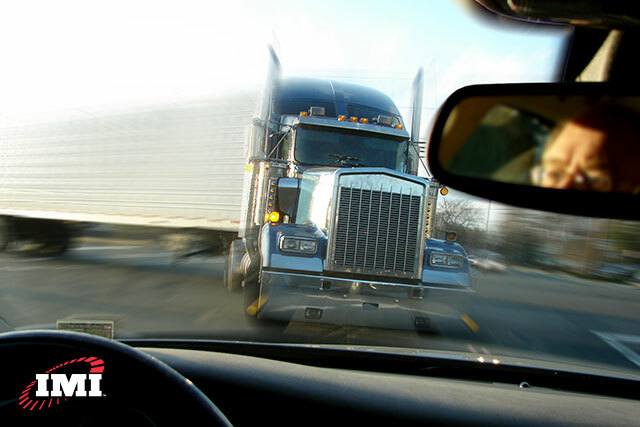 The trucking industry is heavily involved in this issue due to the amount of miles accumulated by trucks and the amount of time spent at highway speed. If non-commercial vehicles consistently drove the same distance as commercial vehicles, they would likely experience an equivalent number of wheel-offs. As it currently stands, this remains a significant issue facing the trucking industry. On commercial trucks, rust undermines the ability to secure the wheel onto the vehicle, directly resulting in some wheel-offs. In fact, one report states that a wheel stud failure from rust bears responsibility in the majority of wheel dismount incidents. Wheel refinishing protects the bare steel of a wheel and the mounting surface from damage including rust. However, if carelessly performed, wheel refinishing can contribute to the likelihood of a wheel-off. If the powder coating, applied during wheel refinishing is too thick, the lug nuts won’t be able to seat properly, turning the preventative measure into a hazard. For additional information read How IMI Solves the Problem of Wheel Corrosion. Neglecting a proper maintenance regime allows important upkeep to go unnoticed. Unfortunately, sometimes maintenance technicians do not focus sufficiently on mounted wheels. To counteract this, experts advise that fleet maintenance personnel should adhere to a formal system in which two technicians examine every wheel separately and sign off on their work. Wheel-offs threaten innocent lives as well as pose a threat to the hardworking fleets that send out trucks every day. While implementing a thorough maintenance system is essential, fleets require other assistance as well. IMI offers refined, top-of-the-line solutions to the problem of wheel-offs. As noted previously, misapplied or inferior powder coating can contribute to a wheel-off. IMI wheel refinishing and powder coating is the most complete solution on the market. IMI’s powder coating process is designed to apply the precise volume to the wheels so as to eliminate the concern of dismounts caused by lug nuts unseating. Additionally, IMI powder coating provides superior protection against wheel rust and corrosion, which as previously noted, represents a major wheel-off catalyst. The IMI Checkpoint loose wheel nut indicators provide a visual clue to drivers when wheel nuts are loose. The easy-to-install indicators become misaligned if the wheel nuts begin to loosen, giving an early indication to the driver or maintenance personnel to rectify the problem before a wheel-off can occur. If you’d like to have a conversation about how to put IMI’s know-how to work for your fleet, contact us today!